M686 is a cousin to the M629, with excellent transmit audio response from a unique cardioid unidirectional dynamic element. Compared to the M629, the M686 has a slightly elevated higher end output (useful for DXing or use with the speech processor on), with slightly less low end response while retaining an overall well-rounded audio profile. 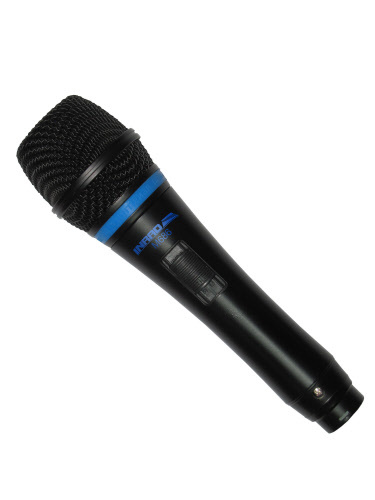 Compared to the M665 offered at the same retail price, the M686 is a more full well-rounded sounding microphone, but at the expense of higher-end audio energy. The M665 has elevated higher end output over the M686. Black metal frame, squared off metal microphone hood. M686 is supplied with a 3 pin XLR to 1/8” mono cable suitable for use with the DMS-1 PTT base or an INRAD M-series mic jack adapter.